MANILA—The Rain Or Shine Elasto Painters tripped the NorthPort Batang Pier in the final frame to take a 107-100 win in the PBA Philippine Cup at the MOA Arena in Pasay on Friday night. 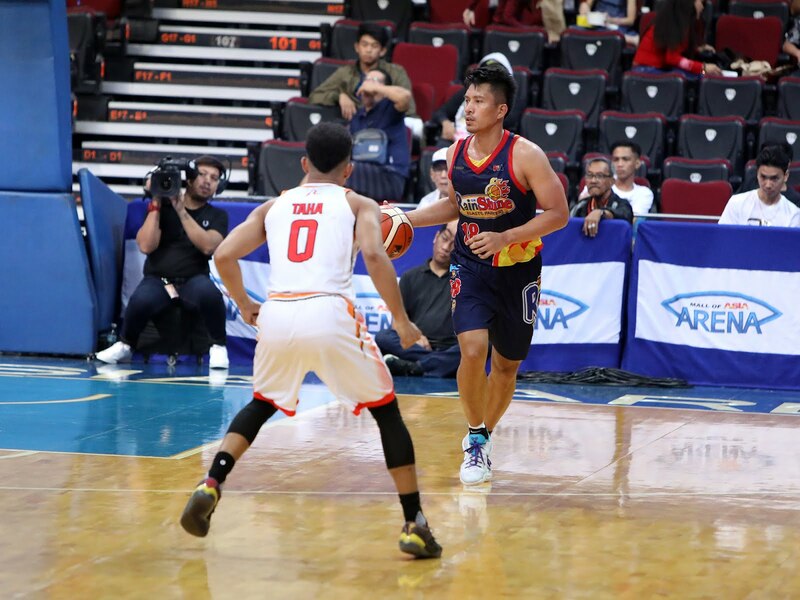 James Yap’s renaissance continued as he scored the go-ahead triple that became the main highlight of ROS’ game-deciding 10-0 run to steal the win from NorthPort, which faltered in the entire fourth quarter. The Batang Pier were on pace of dealing the E-Painters a tough defeat after coming up with 34 points in the second quarter and another 30 in the third to go up, 89-79. But after an exchange of baskets to start the fourth, ROS went on an 11-0 run to take a 97-95 lead with 5:31 remaining. Stanley Pringle went to work afterward, stealing the ball from Maverick Ahanmisi and finding Sean Anthony for the fastbreak layup for the 97-all deadlock before burying a triple that gave NorthPort a 100-97 lead with 3:55 to play. Beau Belga made two free throws that sparked the game-turning rally by the E-Painters and assisted on Yap’s big triple that put them ahead for good with 2:50 remaining. Rey Nambatac then iced the game with three free throws just as the Batang Pier could not buy a bucket before Mark Borboran scored on a layup that could be of big impact in the quotient race. Yap and Belga scored 19 points each for the now 5-1 ROS, which remains a half-game behind Phoenix, 83-82 winner over NLEX in the first game, at the top of the standings. Norbert Torres added 16 points and three rebounds, while Raymond Almazan chipped in 14 markers, five caroms, four dimes, and five blocks. Pringle exploded for 34 points on 11-of-18 shooting, seven rebounds, two assists, two steals, and one block for NorthPort, which fell to a tie with Barangay Ginebra for fifth place at 2-2. The result opened a chance for Ginebra to overtake NorthPort and even move up to solo third place as the Barangay take on the Blackwater Elite in Digos on Saturday night.